The Iowa Great Lakes Region is made up of the following areas: Claire Wilson State Recreation Area, Elinor Bedell State Park, Emerson Bay State Recreation Area, Fort Defiance State Park, Gull Point State Park, Lower Gar Access State Recreation Area, Marble Beach State Recreation Area, Mini-Wakan State Park, Okamanpedan State Park, Pikes Point State Park, Templar Park State Recreation Area, and Trapper’s Bay State Park. 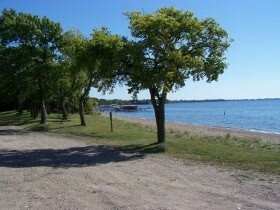 Marble Beach’s campground is the largest in the Iowa Great Lakes region. 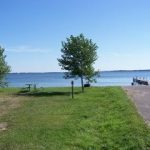 The campground is well shaded and features paved roads, boat ramps, modern restroom and shower facilities, as well as a sanitary dump station. 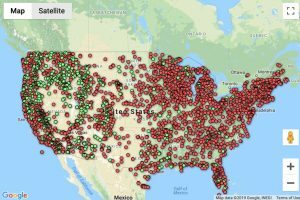 There are a total of 224 campsites, 100 with electrical hookups and 124 non-electric sites. Advance campsite reservations can be made through the park reservation system. Half of the campsites are available for self-registration on a first-come, first-serve basis. 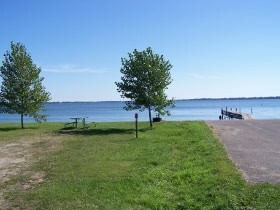 Marble Beach has a paved trail that runs the length of the park and is connected with miles of area recreational trails. Spirit Lake is the largest natural lake in Iowa and provides some of the best fishing in the state. Anglers will find challenging sport pursuing a variety of game fish, including walleye, northern pike, muskellunges, smallmouth bass, white bass, perch, bluegills, crappies, catfish, and bullheads. 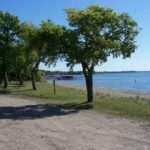 Crandall’s Beach provides a fine place for young and old to sunbathe and spash in the clear water of Big Spirit Lake, and is located just north of Marble Beach on Highway 276. The “lakes area” of northwest Iowa offers a tremendous array of outdoor recreation opportunities year-round. The unique setting of beautiful and clear lakes East and West Okoboji, Big Spirit Lake and other water bodies truly provide wonderful opportunities for outdoor recreation. The focal point for state parks and recreation areas in this region is beautiful Gull Point State Park, established in 1933. Gull Point provides a pleasing, shaded setting on West Okoboji Lake and offers a well-rounded variety of outdoor recreation facilities.